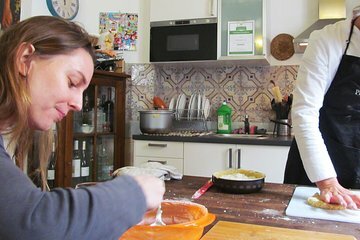 Discover the unique flavors and influences of Sicilian cuisine with a 5-hour, hands-on cooking class in Palermo. After shopping for fresh, seasonal ingredients at a local farmers’ market, head to a well-equipped home kitchen in an 18th-century building. Under the guidance of a chef instructor, learn to prepare an authentic 4-course meal of classic Sicilian dishes including dessert. Sit down to savor your freshly made creations paired with local wine. Patrizia was a great cooking hostess! She was very informative and had a great selection of food.The atmosphere was pretty amazing as well. This was a family event and we all had a great time. Our hosts were very friendly and accommodating to our special dietary needs. We prepared a wonderful meal together and really enjoyed the whole experience. Great instruction, great food, great company. I was in a small class there were only two students, but that made it even better because that meant we did more of the hands-on stuff and got to chat more. Ours was a fish-based meal, and I'm not much into fish, but it was delicious and really opened my eyes and taste-buds to new possibilities. I still have and use the recipes we made! We had a fantastic experience with Julie and Patrizia. This was more than just a cooking class. It was about learning about food and sharing it with lovely people. Thank you so much! Patricia met us on time at the appointed place in central Palermo. From others we went to the local market to shop for the ingredients to use for our class. Once we arrived at chef's charming, well appointed apartment we got down to business. The instructions were made, the food was being prepared and the wine was being opened. 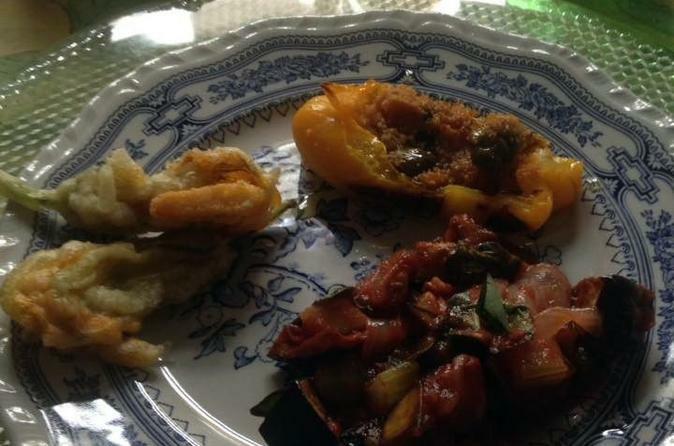 We made four classic Sicilian dishes and each one was delicious. Then we sat down and enjoyed the fruits of our labor, with some more whine of course. This was a wonderful experience and I would highly recommend it to anyone who has an interest in cultural immersion. A truly fantastic day with a charming, talented chef. The best day ever !! !A morning shopping and cooking what dreams are made of . Amazing experience!! Highly recommend to all visiting Palermo, Sicily. Patricia was a wonderful host and chef from the meeting point in the square to the wonderful shopping experience through the market to the preparation and enjoyment of the wonderful meal we prepared together. I brought home the recipes and do fully intend to try to recreate at home. My husband has said of our 15 days in Europe, this was the most enjoyable day we shared. Patricia was wonderful. I entered her home as a stranger and left with having made a new friend. The food was amazing. Cooking with her was a blast. The wine flowed the conversation and laughter was endless all night. Her helpful tips were great. I can't say enough good things about this outing. It was clearly one of the fondest memories of our trip to Palermo!